There are many options available here at the Sea Zoo to expand on your visit. If you have any questions please feel free to call and speak to a member of staff. These packages can all be tailored to specific topics you may be studying. If this is something you’d like to apply to the package please discuss this when booking your visit with a member of staff. Most of our services and information can be provided through the mediums of both Welsh and English. All packages MUST be booked in advance. 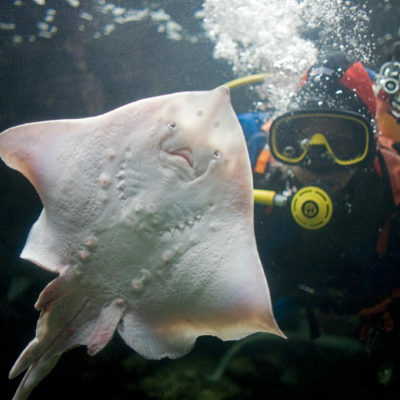 To enquire about packages with your group booking, please email sarah@angleseyseazoo.co.uk or call us on 01248 430 411. 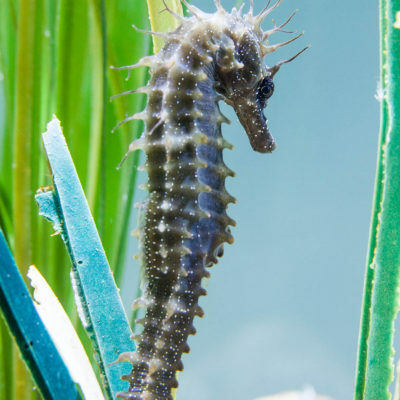 Usually lasting around an hour, the group will be guided around the aquarium by a biologist who will divulge all kinds of facts and knowledge about the animals within. During a tour there is also time for questions. 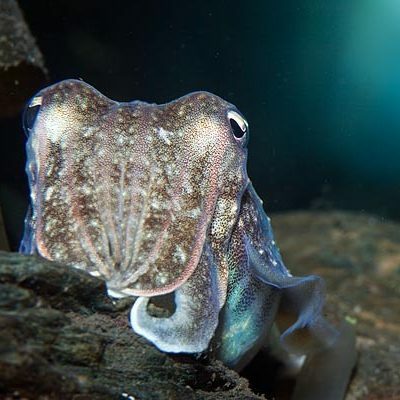 Do you know why an Octopus has blue blood? Come over and find out! The tours can be tailored to your curriculum, please let us know when enquiring about your booking! A practical package that enables the learners to be hands on during the learning process! A biologist will take the learners down to the Menai Strait at low tide to explore and identify animals along the shore line. This is finished with a dip in the rock pools to see the varying life found between different ecosystems! Safaris are usually 60 minutes including time for equipment organisation, and are weather dependent. It is advised that all attending this package bring their own wellies and waterproofs (although we do have a limited number of spare wellies should they be required). Nets, buckets, high visibility jackets and ID cards are provided. Please be aware this package is not advisable for a learner in a wheelchair as it requires being down on the shoreline. Please note that availability depends on the tides. Times and availability may be limited during Spring tides. This is an indoor alternative to the Seashore Safari. 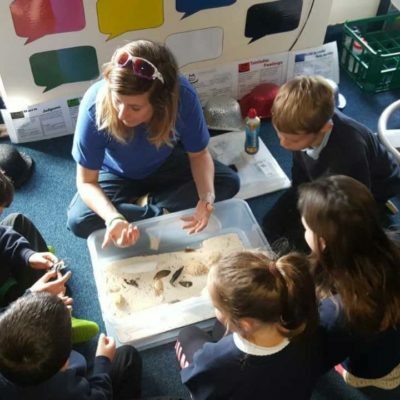 Learners can get up close and personal to a variety of things you could find on the beach - all whilst remaining dry inside the aquarium! This package also focuses on marine litter and its impact on our seas! Session lasts about 1 hour. An ideal package if you have learners in wheelchairs. Allow your group to watch in wonder as our diver joins the fish in their own environment in the Big Fish Forest tank. A biologist will present a talk about a variety of topics including how humans have developed equipment to mimic a fish underwater. How do fish stay at the same depth in the water? Why don’t they all sink to the bottom if they stop swimming? Why does a diver need a mask when a fish can see clearly underwater? The session will last about an hour in total. Lectures are usually about 1 hour long. If there is a particular topic you wish to cover feel free to discuss this as an option during your booking process. Shapes and sizes of native underwater animals and how they are adapted to their environment. Rock pool ecology - they will look at a variety of shorelines and what animals they would find. 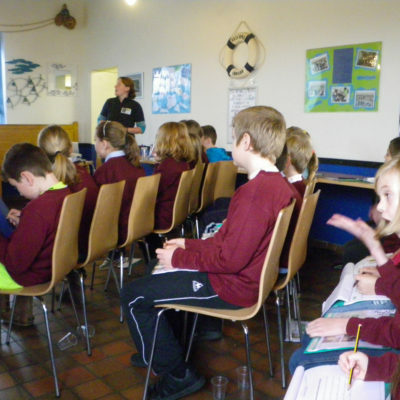 They will also look at what factors affect rock pools and the animals within. This can involve a dry strand-line session depending on time restraints of the day. ‘Animal Encounters’ where the class draw and label them. Marine Conservation is the final topic of the day with a focus on Marine litter. Followed by a question/ answer session with all the staff to ensure all learners have learned all they wanted to. Ysgol-y-Mȏr is based around a normal school day so please take into consideration travelling time. This may affect how long the lessons will be per topic and when breaks / lunches are timed. £9.50 per learner. Minimum 20 learners, maximum recommended group size 30. We organise regular beach cleans at Tan-Y-Foel Beach right on our doorstep. Data from the litter surveys is sent to the MCS – would you believe one of the most common items found on our beaches are plastic cotton bud sticks? 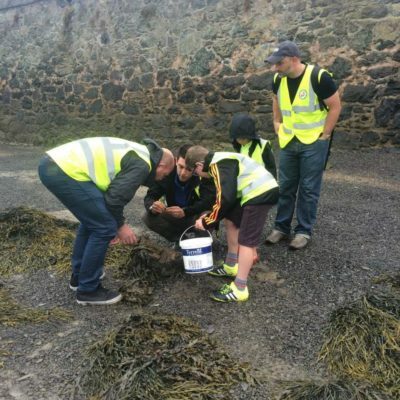 A beach clean is an ideal opportunity to make a difference for the environment as well as educate pupils about marine litter and the importance of recycling. ASZ Staff led beach cleans: £30 for a 2 hour session including all the kit. Self led: £30 deposit (cash only) for the kit.